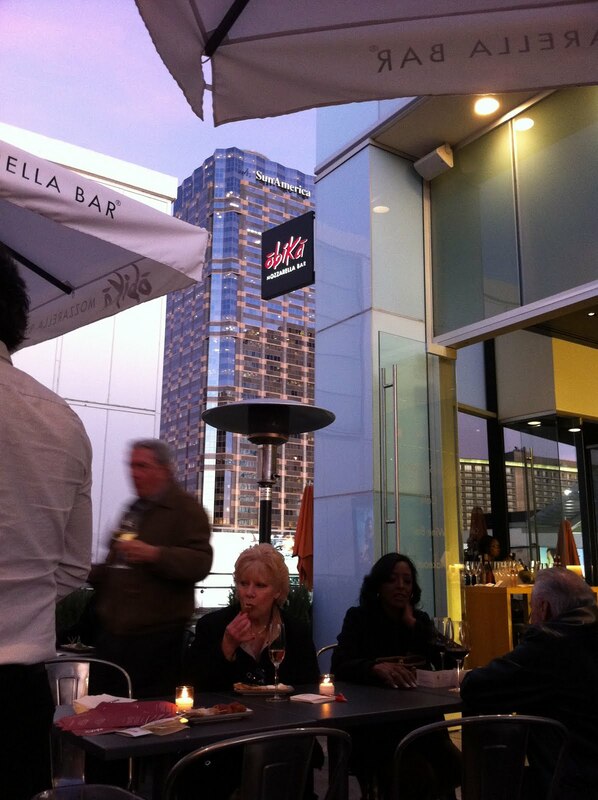 It’s a joyous occasion in the city; it’s dineLA restaurant week! From Monday, January 23rd through Friday, February 4th (excluding Saturday, January 31st), restaurants participating in these festivities are offering pre-fixed, three-course lunches and/or dinners. 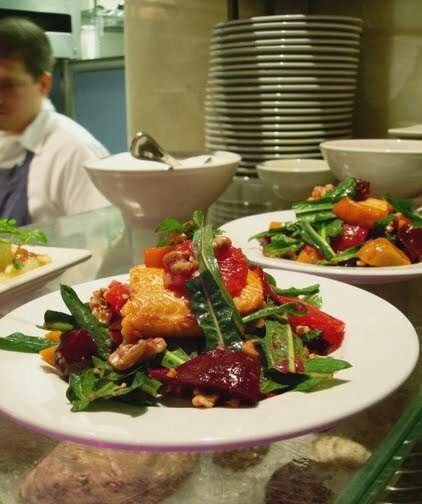 The range of dining options is vast, covering most of the Los Angeles area, from Santa Monica to downtown, and everything in between. And, the cuisine is varied, from Mexican to French, Italian, Contemporary, Traditional and anything else that you could ever imagine. I’m personally excited because I can now wine and dine at some of the city’s most renowned, most expensive, most exclusive restaurants at really affordable, irresistible prices. Lunch ranges between $16 to $28 for and dinner ranges between $26 to $44 at restaurants where on any given day, you could easily spend $50+ for lunch and $100+ for dinner. With almost 300 restaurants on the dineLA restaurant week list, it can be daunting to decide on a place to go, so I’ve taken the liberty to offer my list of “Best Of” restaurants. Some are new but most are Los Angeles staples that have proven again and again, they are worthy of our patronage. Happy exploring! Best Exclusive Staples of the City: These restaurants have become synonymous with the glamorous life of Los Angeles, but most importantly, they have the culinary prowess to back it up. 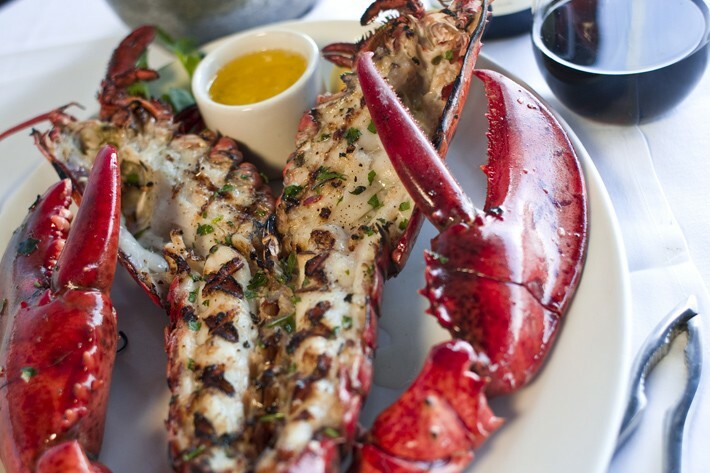 They include: Craft Los Angeles, Crustacean Restaurant Beverly Hills, Inn of the Seventh Ray, Morton's The Steakhouse - Downtown, The Lobster (pictured to the right) The Penthouse at The Huntley and Water Grill. Best Newcomers: In recent years, we’ve seen tons of new restaurants emerge on the scene. We anxiously awaited for the opening of Thomas Keller’s Bouchon, which lived up to expectations. The buzz behind Waterloo and City was insane, and rightfully so. And, we saw both Gordon Ramsay at the London West Hollywood and Oliverio emerge from former restaurants to make a name for themselves. Best One-of-a-Kind Dining Experiences: Whether it’s a funky interior or funky food creations, these restaurants have something to offer, more on the extraordinary side. Cafe Was’ unusual décor will have your eyes roaming from stairs leading nowhere to portraits cut off by ceilings. With its “no substitutions” rule, The Hungry Cat (pictured top left) combines the most unlikely ingredients to make masterpieces. 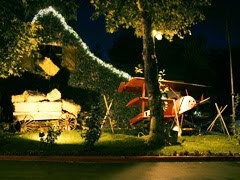 Maison Akira artfully blends French and Japanese cuisines together, and 94th Aero Squadron Van Nuys (pictured to the left) is nostagically old-school, in a quirky way. Best Ones I’m Personally Looking Forward To: I know it’s hard to believe, but even I haven’t been to all of the city’s restaurants. There are still a few on my list that I’m excited to try. They include K-ZO, Little Next Door, Jar Restaurant and The Bazaar by Jose Andres. Best of Just Really Good Places in General: The following restaurants have provided me with one thing: a memorable dining experience each and every time. They aren’t necessarily trendy, newly opened or innately decorated, but they provide quality food at quality prices. They are places I’d visit even if it weren’t dineLA week: Gonpachi Beverly Hills, Katana, Katsuya - Hollywood, Napa Valley Grille, Parkway Grill and Taste on Melrose (Pictured to the right). Previously reviewed on Wilson’s “Where To” Guide: Here are a few places that I have already reviewed, which obviously, already come highly recommended by me: Bar Pintxo, Cliff's Edge, Nic's Beverly Hills, Obika Mozzarella Bar - Century City and RockSugar Pan Asian Kitchen. Perhaps I'll see you at lunch or dinner these upcoming days! 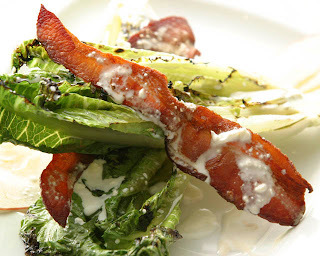 *All photos from restaurants' respective websites. Last week I made my way to Obika' Mozzarella Bar in the Westfield Century City Shopping Center for the unveiling of its reinvented Aperitivo Hour. It was a glorious occasion, with characters from all walks of life restlessly squeezing into the tiny cafe and spilling out onto the patio into the delightfully warm night. As business suits, track suits, stilettos and sneakers coolly mingled with one another, bottles of rosé flowed freely and glasses of red and white wines were generously passed out. Yet of course, the star of the evening - what everyone had dangling in their fingers, on their napkins, towards their mouths - was the exclusive Italian Mozzarella di Bufala Campana DOP. Now let me start by saying that I am no cheese connoisseur. I can pick out jack, and I can pick out cheddar. And while I couldn't even begin to tell you the difference between manchego and asiago cheeses, I do know a good cheese when I taste one, and I know Obika's mozzarella is something special. Hailing from various provinces in Italy, Obika's imported mozzarella comes in three options: delicate (Classica), smoked (Affumicata) and sweet and creamy (Stracciatella di Burrata). Each has a distinctly different taste, and it's fun to figure out which one you like the best. While the mozzarella is mixed into many of the lovely seasonal dishes, during the aperitivo hour (weekdays from 4pm – 7:30pm), the mozzarella, along with selected organic vegetables and cured meats, is displayed in “desgustazione” style, exquisitely spread on the big table in front of the restaurant. As you sip on 50% off specialty drinks and wines, there’s no limit to how many mozzarella balls you can pop into your mouth, or how many pieces of thinly sliced prosciutto you can pile onto your plate. This modestly sleek and elegantly simple restaurant took the Westside by storm when it opened its doors late last year and it's determined to keep us intrigued with the tastes of Italy this year as well. So the next time you’re craving melt-in-your-mouth mozzarella and delicious cocktails, make sure to stop by Obika’ in the afternoon! Since the days of Dean Martin, Nic’s Beverly Hills has impressed patrons with its irresistible martinis, swanky décor and its laid-back vibes. And here’s the catch: Nic’s knows that it’s marvelous. You sense it as soon as you walk into the front door, in the manner in which the host confidently (and almost arrogantly?) greets you. 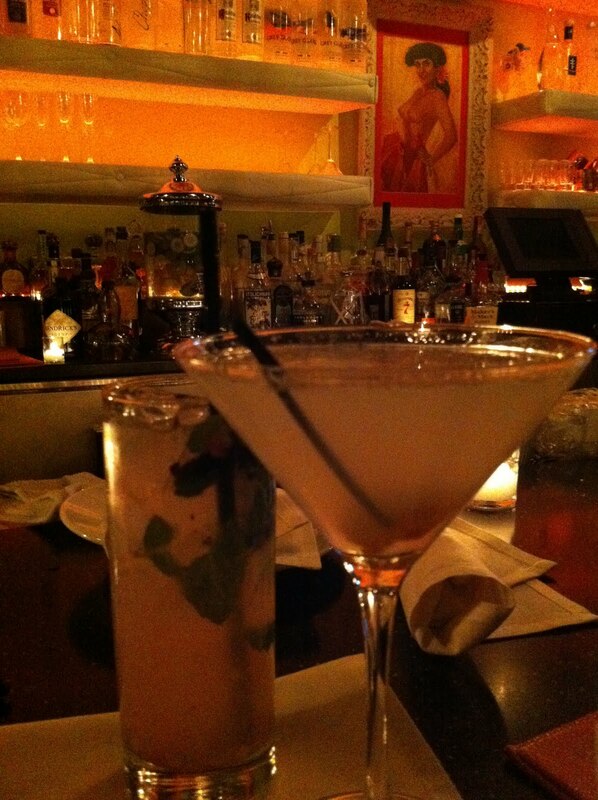 You feel it at the bar, while the bartender smartly whips and shakes up martinis with a self-assured smirk. And you see it in the presentation of every tiny, minute detail – from the distinctive art hanging on the walls to the arrangement of food that’s whisked to your table. All of that sexiness coupled with a Beverly Hills address must make frequenting here more on the expensive side…right? Correct. You'd probably average about $100 per person for dinner and drinks on any given evening. Nic’s phenomenal happy hour (all day on Mondays and from 5-7 p.m. the rest of the weekdays) is so heavily discounted that you don’t have to have Denzel Washington’s wallet to come in and enjoy a martini or two. All items on the cocktailing food menu – which normally run about $12-$14 per plate – are only $7. And interestingly enough, these plates and especially the nicnic platters are well-proportioned and quite filling (the greco nicnic platter is pictured to the right). 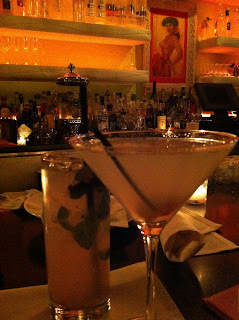 Of course ordering a martini is mandatory, whether it’s the conservative dirty martini or the flamboyant Lemondrop blush. Martinis are made with fresh ingredients, colorful fruits and heavy doses of spirits. While not all of the martinis are discounted during happy hour, there’s usually one particular “martini of the day” that’s priced at $7, such as the cucumber mint martini that my friend Jaymes is drinking, pictured below to the left. For decades, Nic’s martinis have lured Angelenos into its colorful interior, making this lounge a staple amongst the elite. Who knew that it was also an oasis of martinis and gourmet appetizers at shockingly low prices? Indeed, one of the best-kept secrets around town! - The parking structure off of Beverly Dr. and little Santa Monica Blvd. offers two hour free parking before 6 p.m. and a $5 flat rate after 6 p.m.
Live R&B bands are enchanting. Mesmerizing. Watching band members’ wrestle with their instruments – twisted faces, clenched mouths, writhing fingers, prostrated bodies – is like watching them make love to their instruments. The rhythm in which they caress their bass guitars and saxophones is as sensual and seductive as the soul music that they create. I used to get my fix of live R&B bands from Cozy’s in the San Fernando Valley, until it had the audacity to close on me, leaving me hanging out to dry, dazed and disheveled. Thank God for friends like Serena, who introduced me to Foxxhole Mondays Live. Every Monday night from 9 p.m. – 1 a.m. at The Conga Room at L.A. Live, comedian host Mark Curry (pictured above) and the house R&B band The Foxxhole Players (pictured to the below, to the right) lead you through a night of soulful music, hilarious cracks and surprise special guest performances. Curry’s teasing jabs at audience members keeps the mood easygoing and lighthearted, but when singers – both amateurs and professional recording artists alike – stroll onto the stage, a quiet hush settles over the packed floor. It’s as if every knows: it’s time to get down to business. The Foxxhole Players attentively picks up singers' melodies, which include covers of artists like Mary J. Blige and D’Angelo, and also original work. While some performers are honestly only mediocre, most can blow, and about thirty seconds into a song, they’ll have seduced audience members into swaying their shoulders and shaking their heads softly to the tender beat of the drums. I like the Foxxhole because while it consistently guarantees great live R&B music and attention-grabbing entertainment, each Monday also contains an element of surprise – whether it’s a cameo performance by Keyshia Cole or an unexpected appearance by Jamie Foxx himself (see video below). It’s also a great place to people watch – famous athletes, actors, models and the fashion-forward trendsetters of this city grace both the stage and the audience area. See you there next Monday! Below are two performance snippets. The first is of Jamie Foxx with an friend of a friend of mine performing a powerful duet. The next is of Octavia, a Foxxhole frequenter who kills it on the mic every time. (Please note: Video quality is not as high as I'd like it to be, as I had to change a few settings in order to get it to load onto Blogger. However, the sound should give you a feel for what to expect at the Foxxhole). - Here’s the deal: General Admission is $20 and VIP seating is a $25 food/beverage minimum. Seating is brutally sparse in the General Admission section and you’ll most likely have to stand if you don’t arrive early enough to stake your claim. Linen-covered tables circle the stage in the VIP section and bring you up close and personal to performers. Or, you can arrive super early (around 8pm) to catch The Cory Holcomb 5150 Show segment and then gain entrance to The Foxxhole, free of charge. - The Foxxhole is taped live for Sirius Radio, so in case you miss it one Monday, you can always catch it on the radio. - There are more music industry execs at the Foxxhole than there are bad drivers in Los Angeles. So if you’re scouting for your next big recording deal, make sure you look fly, do your thing onstage, network like crazy and of course, have a few demos to pass out.